The Walk of Words: Bad weather days vs work from home? A picture from our last ice storm. 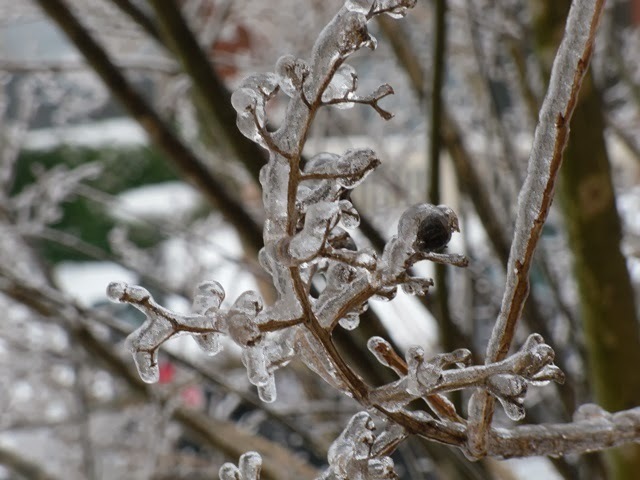 It'll be an icy wonderland in NC today (wonderland??? Is that the best word?). One of those days where the forecast has changed six times in three days as to how much ice, when it will begin, and how terrible the weather will be. Not surprisingly, everyone plans on working from home if at all possible. Do you have the option to work from home? Do you like it, or do you miss when an ice day was just a day off?